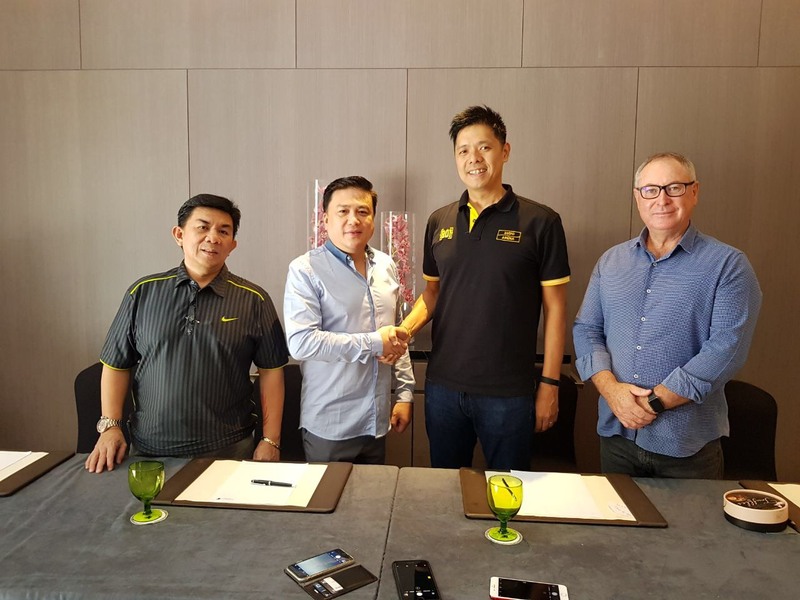 MP Promotions inks deal with Astro Malaysia for the Global Airing of the PACQUIAO-MATTHYSSE Fight in July! MP Promotions recently signed up with Astro, the Malaysia-based broadcasting group for the exclusive rights for the airing of the “Fight of Champions” match between eight-time world boxing champ Manny Pacquiao and Argentinian fighter Lucas Matthysse, scheduled for July 15 at the Axiata Arena in Kuala Lumpur, Malaysia. The fight, which will also feature three other world title fights in the undercard, will be broadcast live in over 100 countries worldwide, including the United States, South America, Europe, Africa, the Middle East, the Asia Pacific region, Caribbean and Oceania. In the Philippines, the “Fight of Champions” match will be broadcast simultaneously over the country’s leading networks and cable/pay-per-view providers, including ABS-CBN, GMA-7, ESPN-5, Sky Cable and Cignal TV. MP Promotions KL Legal Counsel Eldibrando Viernesto; MP Promotions Head of Sales & Marketing Arnold Vegafria; Astro VP, Sports Business Content Management Group Lee Chong Khay; and Astro General Manager and Executive Producer John Nienaber.